Locavore stands for choosing local, honest produce over imported ingredients. This movement started in the US and has been adapted be several reputable restaurants all over the world (e.g. Restraurant Noma in Denmark, Restaurant In De Wulf in Belgium and Husk Restaurant in the US). 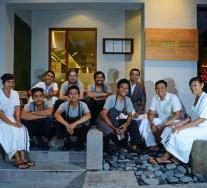 Still uncommon in Bali, Locavore is looking forward to introduce the goodness of local Balinese produce to the world. Locavore believes that fresh produce is essential to creating superior cuisines. Locavore’s ingredient-driven concept celebrates the richness of local produce and the hard work of local farmers, fishermen and artisans. 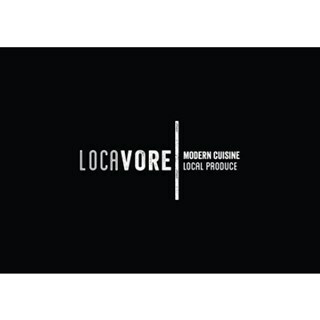 If you’ve always wondered how exquisite food is brought to life, Locavore is the place to be. Locavore has an open kitchen where you can see how your personal dish is being prepared. Please feel free to chat with Eelke, Ray and the rest of the culinary team; they’ll be more than happy to be of your assistance and make you feel at home. Bored with the menu? That is simply impossible when you dine at Locavore. Our menus are dynamic and change throughout the day (that was a bit ambitious from our side, but the menus changes for sure every few days – bits of it that is). This gives us the chance to bring you the best of the seasonal, organic produce available at a given time. You’ll be coming back to taste what we’ve got next on the plate for you. Best meal of my life! Amazing in every way. 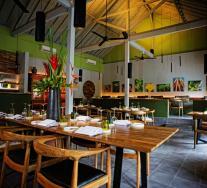 We would visit Ubud again just to dine at Locavore again! Thank you so much! Love the visual presentation of each dishes pairing with amazing hand crafted ceramic. Absolutely amazing, exceeded all expectations. We made reservations months in advance for my birthday and had the 7 course tasting. We each chose two different menus and had so many creative and mind blowing experiences throughout the night. The dessert courses, totally unexpected to be a feature, was some of the best I have ever experienced. I will plan to go back for every special day moving forward. Some of the dishes were great (very much enjoyed the octopus and also the desserts), but most of them had too much of a strong taste (loaded with seasoning and sauces - i.e. salty, sour, etc.) for us to appreciate the true flavour. Presentation was artistic and lovely. Service was subpar, majority of the servers mumbled the information about the dishes and didn't give any insight unlike other restaurants we've dined in - it felt like they were just reading from a script. I expected a restaurant that was listed under World's 50 Best and also Asia's 50 Best to deliver, but the overall experience was incredibly underwhelming. We came in dripping wet from the pm downpour but it was soon forgotten as we were transported into a realm of delightful exploration. The service was friendly and attentive. We were seated at a table and they accommodated our desire to sit at the chef preparation. The line chefs were young and energetic and very patiently answered our bizillon questions of products and preparation. The presentation and application of technique so cohesive to the produce. Everything kept building. And what was supposed to be 7 courses turned into 15 with the "snacks " and extra desserts. My fav was the dessert tray on the mancala board. And the drink pairings! So perfect and using local spirits. This was the highlight of Ubud for us, well the monkeys were also great. But after eating at 4 of Bali's finest restaurants this was the BEST! Make reservations here before your flight plans! Third time to step in Locavore. First two time with my husband and the last time with my sister whose palates are very picky and difficult to be pleased. She said Locavore made her gaze open wide to look at the value of ingredients and joys to discover good food. I always go for Herbivore. And again, it was beyond my expectation. Good to see tomato sorbet and consome combination to cleanse the palate and entre the main course. I found, by the way, it would be nice if you also have a good non-alcoholic pairing for course menu. Because I tried out alcoholic pairing, but to be very honest, I didn't see the added-value for this. Since some of liquor was way too strong, zing of actual flavour came through not at the first try but after a few spoons. This is maybe the only comment I can share with you for your improved journey in food. See you again! And definitely, this is the place where you can rethink of the concept of food. Food is meant to trivialise your senses in healthy and sustainable concept. Appreciation to ingredients, simple presentation but actually very dedicated technique to infuse into every dish. Thank you! Everything ok, except service. Should work more on it, too informal and too fast. Food was a bit on the too much sour side. Great food and services with the generous dishes of starters and desserts before and after the course meal begins. Excellent in every way. What a unique and rewarding experience to see these chefs at work, and then to enjoy the fruits of their dedication and concentration. It doesn't feel right to describe it as just a dining experience, it was more of a sensory feast. We were a group of 14 astrologers and we thoroughly enjoyed every bite and sip at Locavore. Perfect restaurant for solo dining. Everyone was so friendly and accommodating. Amazing experience. A very thoughtful and caring restaurant through out the whole booking and serving procedures. Restaurant Locavore contacted me days before our visit as I mentioned our group have pregnancy (don’t eat raw) and who doesn’t eat onion family to get clear if it’s because of allergies or just don’t like the smell. Then Locavore emailed me their special menu the night before our visit, and when we arrived, the whole team were awared of our situations. The foods were amazingly nice. Every single dishes has its different level of sweetness, sourness, spiciness that all brings together in one bite. We could all feel how much efforts that the chef had putted behind every single bite!! And everybody were working extremely hard. It’s definitely value for how much we paid! We will definitely go back the next time we visit ubud! Absolutely blessed to get the last seats for the lunch seating right in front of the kitchen. We had a sensational dining experience and enjoyed ever plate of food on the menu. We will 100% be back again and loved the whole experience from start to finish. The location of the restaurant is not as it should be for the price we pay ( 2 million rupiah or 150 USD for 2 pax without drink): A view on the crowded road and no parking space. we can see pedestrians and vice versa, noisy. The food is using indonesian products  and it is good idea. But i could not satisfy my nose : no smell, only  good taste and not always. The presentation is excellent : plates and food. The service is excellent. Loved sitting at the bar in front of the kitchen - special experience to see the highly skilled chefs prepare our food right before we got to taste it! Les toques françaises peuvent franchement s'incliner ... ce fut un magnifique moment gustatif avec de très belles surprises. A very creative kitchen with surprisingly good food, very well balanced with all the different tasteprofiles. I really loved it. The cocktailpairing was also very surprising and very tasty. Beautiful little glasses! The service was impeccable! We were unable to book dinner reservation so settled for lunch and were pleasantly surprised that the menus were the same. Excellent culinary adventure, the portions are small as befitting fine dining but there were more courses than on the menu offered. Every dish was sumptuous whether it was the vegetarian or meat based, amongst the 3 of us, we sampled both. The many chefs in the kitchen are clearly skilled as some of the foods were prepared in unique way and with much care. The 64 degree duck egg was a standout, the BBQ young jackfruit was exceptional (didn't know jackfruit could be prepared like that). To be honest, every dish was outstanding, this was an extraordinary culinary journey of 3 hrs. Staff were very attentive and knowledgeable. Extraordinary, generous and entirely original. I cannot recall a single dish that did not inspire interest. In any major western city, there would be Michelin stars for this establishment! Possibly the best meal I’ve ever had. Sensational variety of food, cocktails and world class service. I’ll be sure to visit again!! The Locavore dining experience is the most delicious, generous, ingenious eating experience I have ever had. I hope lots of good stuff is coming back to you. 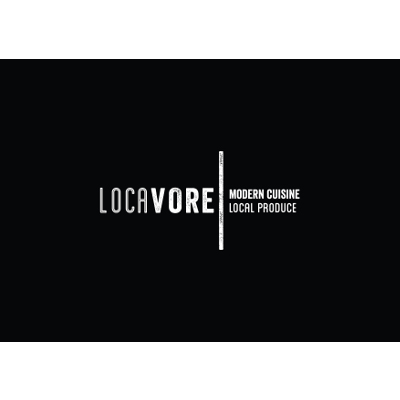 Locavore is an eating experience you don't want to miss, the precision that has gone into creating each dish with multiple flavours, textures, colours and variety of ingredients is simply astonishing. The attention to detail and customer experience is apparent, we were looked after well and my preference for substituting one dish was not a problem. Ray came in had a chat with us afterwards, a nice touch to speak with one of the partners, they have taken food in Ubud to a new level. We were completely absorbed in each course and blown away by each taste sensation. Can't wait to come back next time we're in Ubud. Hope they go from strength to strength.